The United States of Earth - Online Alarm and Resource Directory for the New World Order. aka the NWO. Online Alarm and Resource Directory for the New World Order. aka the NWO. Is there a New World Order coming? You better believe it! Only it wont be ushered in by the Masons, the U.N., or the World Bank. Now these 3 and others may be used to prepare the way, but rest assured the NWO will come by way of the Antichrist. Biblically speaking, the antichrist will effectively be the King of Earth. This will require a one world government (United States Of Earth possibly? ), one world currency (cashless debit credit system), one world religion, one identification sytem (666) and one world communication system (wireless internet.). One can easily see how close global technology is to a King of the World pulling the trigger and institutionalize all these requirements. What's left before we see all these things and rise of The Antichrist? The State of Israel facing total annihilation. Like we see Iran's President Ahmadinejad feels it's his destiny to "wipe Israel off the map". You can expect that just before Iran hits "The Button" a man will come on to the scene and broker Peace. The deadliest peace the world will ever know! May God Save The Church! World Government is the notion of a single common political authority for all of humanity. Its modern conception is rooted in European history, particularly in the philosophy of ancient Greece, in the political formation of the Roman Empire, and in the subsequent struggle between secular authority, represented by the Holy Roman Emperor, and ecclesiastical authority, represented by the Pope. The seminal work on the subject was written by Dante Alighieri, titled in Latin, De Monarchia, which in English translates literally as "On Monarchy". Dante's work was published in 1329, but the date of its authorship is disputed. Under Cyrus The Great and Darius the Persians founded one of the world's first stable, sophisticated empires based around the area of modern day Iran and Iraq. At its height, the empire was, arguably, the largest and most powerful state in the world, stretching from the banks of the Indus river in the area of modern-day Pakistan to roughly what now forms the westernmost boundaries of modern-day Turkey. The empire itself was widely known for its immense wealth, and it had a highly-developed bureaucracy which governed and maintained order over every part of the empire. The empire's prosperity and power drew both the admiration and envy of neighboring states, and later inspired the Ancient Macedonian king Alexander the Great to invade the empire and seize it for himself. The beneficial role of the Roman Empire in relation to Pax Romana was a subject of discourse in ancient times. Pax Romana (Latin for "Roman peace") was the long period of relative peace and minimal expansion by military force experienced by the Roman Empire in the first and second centuries AD. Since it was established by Caesar Augustus it is sometimes called Pax Augusta. Its timing was approximately 200 years (27 BC to 180 AD). The Mongol Empire was the largest contiguous empire No complete world government has ever existed, but over human history there have been several empires or dictatorships that encompassed substantial portions of the then known world. Famous examples are Alexander the Great and his empire, the Roman Empire, the Mongol Empire, and the British Empire. In the case of the British, a quarter of the world's land surface and approximately a third of the world's population was part of the Empire. This is the single closest time that the world has come to a total political unification. In 1625, the Dutch jurist Hugo Grotius wrote De Jure Belli ac Pacis (The Laws of War and Peace), which is the source of international law. De jure belli ac pacis (On the Law of War and Peace) is a 1625 book in Latin, written by Hugo Grotius and published in Paris, on the legal status of war. It is now regarded as a foundational work in international law. 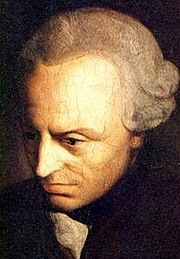 Immanuel Kant wrote the essay "Perpetual Peace: A Philosophical Sketch (Zum ewigen Frieden. Ein philosophischer Entwurf.) (1795)". In his essay, Kant describes three basic requirements for organizing human affairs to permanently abolish the threat of a future war, and, thereby, help establish a new era of lasting peace throughout the world. Specifically, Kant described his proposed peace program as containing two steps. Painted portrait of Immanuel Kant. Three Definitive Articles would provide not merely a cessation of hostilities, but a foundation on which to build a peace. In 1811, a German philosopher Karl Krause, suggested, in an essay titled "The Archetype of Humanity", the formation of five regional federations: Europe, Asia, Africa, America and Australia, aggregated under a world republic. In 1842, the English poet Lord Alfred Tennyson, published the oft-quoted lines "Locksley Hall": For I dipt into the future, far as human eye could see / Saw a Vision of the world, and all the wonder that would be /... / Till the war-drum throbb'd no longer / and the battle-flags were furled / In the Parliament of man, the Federation of the world. / There the common sense of most shall hold / a fretful realm in awe / And the kindly earth shall slumber / lapt in universal law. Though not playing a significant role in Western history, between 1852 and 1892 Bahá'u'lláh founded the Bahá'í Faith, a religion, identified the establishment of a global commonwealth of nations as a key principle of his new religion. He envisioned a set of new social structures based on participation and consultation among the world's peoples, including a world legislature, an international court, and an international executive empowered to carry out the decisions of these legislative and judicial bodies. Connected principles of the Bahá'í religion include universal systems of weights and measures, currency unification, and the adoption of a global auxiliary language. The Bahá'í Faith currently counts in excess of 5 million members spread across the globe. International organizations started forming in the late 19th century – the International Red Cross in 1863, the Telegraphic Union in 1865 and the Universal Postal Union in 1874. The increase in international trade at the turn of the 20th century accelerated the formation of international organizations, and, by the start of World War I in 1914, there were approximately 450 of them. Support for the idea of establishing international law grew during that period as well. The Institute of International Law was formed in 1873 by the Belgian Jurist Gustave Rolin-Jaequemyns, leading to the creation of concrete legal drafts, for example by the Swiss Johaan Bluntschli in 1866. In 1883, James Lorimer published "The Institutes of the Law of Nations" in which he explored the idea of a world government establishing the global rule of law. The first embryonic world parliament, called the Inter-Parliamentary Union, was organized in 1886 by Cremer and Passy, composed of legislators from many countries. In 1904 the Union formally proposed "an international congress which should meet periodically to discuss international questions". The League of Nations (LoN) was an inter-governmental organization founded as a result of the Treaty of Versailles in 1919–1920. At its greatest extent from 28 September 1934 to 23 February 1935, it had 58 members. The League's goals included upholding the new found Rights of Man such as right of non whites, rights of women, rights of soldiers, disarmament, preventing war through collective security, settling disputes between countries through negotiation, diplomacy and improving global quality of life. The diplomatic philosophy behind the League represented a fundamental shift in thought from the preceding hundred years. The League lacked its own armed force and so depended on the Great Powers to enforce its resolutions, keep to economic sanctions which the League ordered, or provide an army, when needed, for the League to use. However, they were often reluctant to do so. World War II, 1939-1945, resulted in an unprecedented scale of destruction of lives (over 60 million dead, most of them civilians), and the use of Weapons of Mass Destruction. Some of the acts committed against civilians during the war were on such a massive scale of savagery, they came to be widely considered as crimes against humanity itself. As the war's conclusion drew near, many shocked voices called for the establishment of institutions able to permanently prevent deadly international conflicts. This led to the founding of the United Nations in 1945, which adopted the Universal Declaration of Human Rights in 1948. Many, however, felt that the UN, essentially a forum for discussion and coordination between sovereign governments, was insufficiently empowered for the task. A number of prominent persons, such as Albert Einstein, Winston Churchill, Bertrand Russell and Mahatma Gandhi, called on governments to proceed further by taking gradual steps towards forming an effectual federal world government. The years between the conclusion of World War II and 1950, when the Korean War started and the Cold War mindset became dominant in international politics, were the "golden age" of the world federalist movement. Wendell Wilkie's book "One World", first published in 1943, sold over 2 million copies. In another, Emery Reves' book "The Anatomy of Peace"(1945) laid out the arguments for replacing the UN with a federal world government and quickly became the "bible" of world federalists. The grassroots world federalist movement in the US, led by people such as Grenville Clark, Norman Cousins, Alan Cranston and Robert Hutchins, organized itself into increasingly larger structures, finally forming, in 1947, the United World Federalists (later renamed to World Federalist Association, then Citizens for Global Solutions), claiming membership of 47,000 in 1949. Similar movements concurrently formed in many other countries, leading to the formation, at a 1947 meeting in Montreux, Switzerland, of a global coalition, now called World Federalist Movement. By 1950, the movement claimed 56 member groups in 22 countries, with some 156,000 members. In France, 1948, Garry Davis began an unauthorized speech calling for a world government from the balcony of the UN General Assembly, until he was dragged away by the guards. Mr. Davis renounced his American citizenship and started a Registry of World Citizens, which claimed to have registered over 750,000 people in less than two years. Opinion polls carried out by UNESCO in 1948-1949 found world government favored by a majority of respondents in six European countries and rejected in three other countries (Australia, Mexico and the United States). On September 4, 1953, Davis, from the City Hall of Ellsworth, Maine, announced the formation of the "World Government of World Citizens" based on 3 "World Laws" — One God (or Absolute Value), One World, and One Humanity. Following this declaration mandated he claimed by article 21 of the Universal Declaration of Human Rights, he formed the United World Service Authority in New York City as the administrative agency of the new government. Its first task was to design and issue a "World Passport" based on article 13 of the UDHR. To date, over 800,000 of these documents have been issued to individuals worldwide. They have been recognized de facto by over 150 countries. The World Passport is a 45 page document issued by the World Service Authority, a non-profit organization, citing Article 13, Section 2, of the Universal Declaration of Human Rights. World Passports have reportedly been accepted on a de facto, case-by-case basis by over 174 countries and, at one time or another, on an explicit, legal or de jure basis by Burkina Faso, Ecuador, Mauritania, Tanzania, Togo and Zambia. The latest edition of the World Passport, issued January 2007, is an MRD (machine readable document) with an alphanumeric code bar enabling computer input plus an embedded "ghost" photo for security, printing overcovered with a plastic film. The passport is in 7 languages: English, French, Spanish, Russian, Arabic, Chinese and Esperanto. Two covers are available: "World Passport," and "World Government Passport" (for registered World Citizens), ("passport" is in 7 languages on both covers). Duration is 8 years, 5 years or 3 years. Other documents issued by WSA are a World Birth Certificate (Art. 1, UDHR), a World Political Asylum Card (Art. 14, UDHR), a World Marriage Certificate, (Art. 16, UDHR) and a World Identity Card, (Art 21,3, UDHR). Legal anthropologist E. Adamson Hoebel concluded his treatise on broadening the legal realist tradition to include non-Western nations: “Whatever the idealist may desire, force and the threat of force are the ultimate power in the determination of international behavior, as in the law within the nation or tribe. But until force and the threat of force in international relations are brought under social control by the world community, by and for the world society, they remain the instruments of social anarchy and not the sanctions of world law. The creation in clear-cut terms of the corpus of world law cries for the doing. If world law, however, is to be realized at all, there will have to be minimum of general agreement as to the nature of the physical and ideational world and the relation of men in society to it. An important and valuable next step will be found in deep-cutting analysis of the major law systems of the contemporary world in order to lay bare their basic postulates – postulates that are too generally hidden; postulates felt, perhaps, by those who live by them, but so much taken for granted that they are rarely expressed or exposed for examination. When this is done – and it will take the efforts of many keen intellects steeped in the law of at least a dozen lands and also aware of the social nexus of the law – then mankind will be able to see clearly for the first time and clearly where the common consensus of the great living social and law systems lies. Here will be found the common postulates and values upon which the world community can build. At the same time the truly basic points of conflict that will have to be worked upon for resolution will be revealed. Law is inherently purposive. While enthusiasm for multinational federalism in Europe incrementally led, over the following decades, to the formation of the European Union, the onset of the Cold War (1950-1990) eliminated the prospects of any progress towards federation with a more global scope. The movement quickly shrunk in size to a much smaller core of activists, and the FWG idea all but disappeared from wide public discourse. Following the dissolution of the Soviet Union in 1991, interest in a federal world government and, more generally, in the global protection of human rights, was renewed. The most visible achievement of the world federalism movement during the 1990s is the Rome Statute of 1998, which led to the establishment of the International Criminal Court in 2002. In Europe, progress towards forming a federal union of European states gained much momentum, starting in 1952 as a trade deal between the German and French people lead, in 1992, to the Maastricht Treaty that established the name and enlarged the agreement that the European Union (EU) is based upon. The EU expanded (1995, 2004, 2007) to encompass, in 2007, nearly half a billion people in 27 member states. Following EU's example, the African Union was founded in 2002 and the Union of South American Nations in 2004. The only union generally recognized as having achieved the status of a supranational union is the European Union. North American Free Trade Agreement (NAFTA) into the "North American Union"
The most relevant model for the incremental establishment of a global federation may be the European Union, which politically unites a large group of widely diverse, some formerly hostile, nations spread over a large geographical area and 500 million people. Though the EU is still evolving, it already has many attributes of a federal government, such as open internal borders, a directly elected parliament, a court system, an official currency (Euro) and a centralized economic policy. The EU's lead is being followed by the African Union, the Union of South American Nations, the Organization of Central American States, and the Association of Southeast Asian Nations. A multitude of regional associations, aggregating most nations of the world, are at different stages of development towards a growing extent of economic, and sometimes political, integration. The African Union (AU) is an organisation consisting of fifty-three African states. Established on July 9, 2002, the AU was formed as a successor to the amalgamated African Economic Community (AEC) and the Organisation of African Unity (OAU). Eventually, the AU aims to have a single currency and a single integrated defence force, as well as other institutions of state, including a cabinet for the AU Head of State. The purpose of the union is to help secure Africa's democracy, human rights, and a sustainable economy, especially by bringing an end to intra-African conflict and creating an effective common market. Projects for improved economic and political cooperation are also happening at a regional level with the Arab Maghreb Union, the Economic Community of West African States, the Economic Community of Central African States the Southern African Development Community and the East African Community. ASEAN, pronounced AH-see-ahn in English, or the Association of Southeast Asian Nations, is a geo-political and economic organization of 10 countries located in Southeast Asia, which was formed on August 8, 1967 by Indonesia, Malaysia, the Philippines, Singapore, and Thailand as a display of solidarity toward communist expansion in Vietnam and insurgency within their own borders. Its claimed aims include the acceleration of economic growth, social progress, cultural development among its members, and the promotion of regional peace. All members later founded the Asia Cooperation Dialogue, which aims to unite the entire continent. The Shanghai Cooperation Organisation (SCO) is an intergovernmental organization which was founded on June 14, 2001 by the leaders of the People's Republic of China, Russia, Kazakhstan, Kyrgyzstan, Tajikistan and Uzbekistan. Except for Uzbekistan, these countries had been members of the Shanghai Five; after the inclusion of Uzbekistan in 2001, the members renamed the organization. The Commonwealth of Independent States is comparable to a confederation similar to the original European Community. Although the CIS has few supranational powers, it is more than a purely symbolic organization, possessing coordinating powers in the realm of trade, finance, lawmaking, and security. It has also promoted cooperation on democratization and cross-border crime prevention. As a regional organization, CIS participates in UN peacekeeping forces. Some of the members of the CIS have established the Eurasian Economic Community with the aim of creating a full-fledged common market. The Arab League is a regional organization of Arab states in Southwest Asia, and North and Northeast Africa. It was formed in Cairo on March 22, 1945 with six members: Egypt, Iraq, Transjordan (renamed Jordan after 1946), Lebanon, Saudi Arabia, and Syria. Yemen joined as a member on May 5, 1945. The Arab League currently has 22 members. Map of USAN. The Union of South American Nations was founded in 2006-2008 and is modeled on the European Union. It incorporates all the independent states of South America. These states are Argentina, Bolivia, Brazil, Chile, Colombia, Ecuador, Guyana, Paraguay, Peru, Suriname, Uruguay, and Venezuela. The South Asian Association for Regional Cooperation (SAARC) is an economic and political organization of eight countries in Southern Asia. In terms of population, its sphere of influence is the largest of any regional organization: almost 1.5 billion people, the combined population of its member states. It was established on December 8, 1985 by India, Pakistan, Bangladesh, Sri Lanka, Nepal, Maldives and Bhutan. In April 2007, at the Association's 14th summit, Afghanistan became its eighth member. Map of SAARC nations and observers. The World Constitution and Parliament Association (WCPA) was created in 1958 to promote democratic world government. During the next 33 years the WCPA held four Global Constituent Assemblies centered around creating a Constitution for the Federation of Earth. At the fourth assembly in Troia, Portugal in 1991, final amendments to the Constitution were made and approved. Even before this assembly, the organization has been involved in a worldwide campaign to ratify the Earth Constitution under the provisions set forth in Article 17. Since 1982, the WCPA has also organized sessions of the Provisional World Parliament, the first of which was in Brighton, England and the tenth session of which was in Kara, Togo in 2007. Under the authority of Article 19 of the Constitution, the Parliament debates and passes provisional world legislation that serves as a model and a guide for developing democratic world government. The Parliament also works toward a founding ratification convention at which the nations and people of Earth join together to ratify the Constitution and initiate a new demilitarized, democratic world order. TA United Nations Parliamentary Assembly (UNPA) is a proposed addition to the United Nations System that would allow for participation of member nations' legislators and, eventually, direct election of United Nations (UN) parliament members by citizens worldwide. The idea was raised at the founding of the League of Nations in the 1920s and again following the end of World War II in 1945, but remained dormant throughout the Cold War. In the 1990s and 2000s, the rise of global trade and the power of world organizations that govern it led to calls for a parliamentary assembly to scrutinize their activity. The Campaign for the Establishment of a United Nations Parliamentary Assembly was formed in 2007 to coordinate pro-UNPA efforts, which as of February 2009 has received the support of over 600 Members of Parliament from over 90 countries worldwide. As of 2009, there is no functioning global international military, executive, legislature, judiciary, or constitution, with jurisdiction over the entire planet. The Earth is divided geographically and demographically into mutually-exclusive territories and political structures called states which are independent and sovereign in most cases. One may also make the case that political and economical independence although related are not the same and even though former colonies have acquired political independence since World War II, they have become more dependent financially upon each other. There are numerous bodies, institutions, unions, coalitions, agreements and contracts between these units of authority, but except in cases where a nation is under military occupation by another all such arrangements depend on the continued consent of the participant nations. Thus the use of violence is unprohibited throughout the realm and is only checked by the threat of retaliatory violence or nonviolent sanctions (see Gene Sharp), so where no such threat exists a nation may use violence against another. The United Nations (UN) is the primary formal organization coordinating activities between states on a global scale and the only inter-governmental organization with a truly universal membership (192 governments). In addition to the main organs and various humanitarian programs and commissions of the UN itself, there are about 20 functional organizations affiliated with the UN's Economic and Social Council (ECOSOC), such as the World Health Organization, the International Labour Organization, and International Telecommunications Union. Of particular interest politically are the World Bank, the International Monetary Fund and the World Trade Organization. The World Bank and the International Monetary Fund (IMF), were formed together at the Mount Washington Hotel in Bretton Woods, New Hampshire, United States in July 1944, to foster global monetary cooperation and to fight poverty by financially assisting states in need. The World Trade Organization (WTO) sets the rules of international trade. It already has a semi-legislative body (The General Council, reaching decisions by consensus), and a judicial body (The Dispute Settlement Body). Another influential economical international organization is the Organisation for Economic Co-operation and Development (OECD), with membership of 30 democratic members. G8, an association of the eight highest GDP Nations of the World. The leaders of the G8 countries meet annually in person to coordinate their policies in confronting global issues, such as poverty, terrorism, infectious diseases, and climate change. G20, an association of twenty developing and established nations and entities, including the European Union. Militarily, the UN deploys peacekeeping forces, usually to build and maintain post-conflict peace and stability. When a more aggressive international military action is undertaken, either ad-hoc coalitions (e.g., multinational force in Iraq), or regional military alliances (eg, NATO) are used. International law encompasses international treaties, customs, and globally acceptable legal principles. With the exceptions of cases brought before the ICC and ICJ (see below), the laws are interpreted by national courts. Many violations of treaty or customary law obligations are overlooked. The International Court of Justice (ICJ) (also known as World Court) is the judiciary organ of the United Nations. It settles disputes submitted to it voluntarily by states (only), and gives advisory opinions on legal questions submitted to it by other organs of the UN, such as the General Assembly or Security Council. A recent development in international law is the International Criminal Court (ICC), the first ever permanent international criminal court, which was established to ensure that the gravest international crimes do not go unpunished. The ICC treaty was signed by 139 national governments, of which 100 ratified it into law by October 2005. In addition to the formal, or semi-formal, international organizations and laws mentioned above, many other mechanisms act to regulate human activities across national borders. In particular, international trade in goods, services and currencies (the "global market") has a tremendous impact on the lives of people in almost all parts of the world, creating deep interdependency amongst nations (see globalization). Trans-national (or multi-national) corporations, some with resources exceeding those available to most governments, govern activities of people on a global scale. The rapid increase in the volume of trans-border digital communications and mass-media distribution (e.g., Internet, satellite television) has allowed information, ideas, and opinions to rapidly spread across the world, creating a complex web of international coordination and influence, mostly outside the control of any formal organizations or laws.